I grew up in a Kenyan village with dark skies and vivid stars. We admired the sky and listened to stories about it told by the elders. There were few expectations that the children in our village would ever understand the sky’s secrets as this was unimaginable at the time. I excelled at maths and science, eventually becoming a teacher in the subjects. Then came a master’s degree in physics, followed by a second master’s through South Africa’s Square Kilometre Array (SKA) project. There the boy who had gazed up at mysterious skies turned into a man who wanted to become an astrophysicist. But Africa has a challenge: astronomy as a profession is a little-known field of science in all but one country, South Africa. Even high school science teachers are often not aware that astronomy is a branch of physics, is therefore a science, and could be presented to pupils as a viable career option. 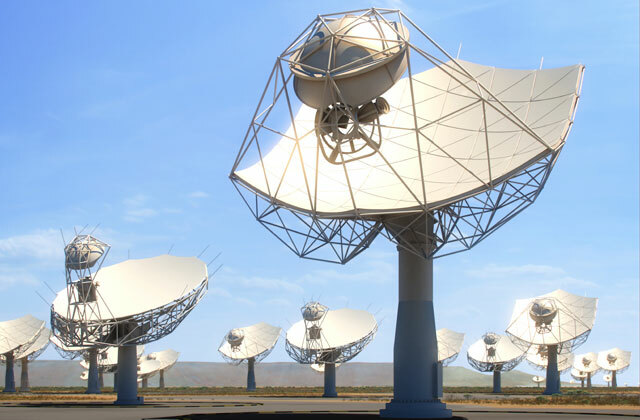 The construction of the mid-frequency part of the SKA in South Africa, in partnership with eight other African countries, means the continent needs to encourage, produce and nurture young astrophysicists. Very few African universities offer postgraduate degrees in astronomy. Most that do are based in South Africa; the others include the University of Mauritius and Kenya’s University of Nairobi. This gap in knowledge, information and study is now being bridged by a joint UK-South Africa project that trains students from Africa in the field of astronomy, with a focus on radio astronomy. I am a student of the Development in Africa through Radio Astronomy (Dara) project currently studying towards my PhD at the University of Leeds. The funding stems from the UK’s Newton Fund and is matched by funding from South Africa’s department of science & technology. It’s a good example of how training and partnerships can help to build the scientists Africa needs to establish itself as a key player in astronomy, radio astronomy and astrophysics. Dara conducted training programmes in Kenya and Zambia during 2015 building on a concurrent programme in Ghana funded by the UK’s Royal Fund. There it equipped 40 students with the fundamentals of radio astronomy. It was a challenging, competitive and captivating two months consisting of four different training units. We were trained in the technical aspects of radio astronomy as well as learning about data collection and reduction. We collected and analysed data from a nearby astrophysical object — the sun, for example. Of those 40 trainees, six — myself among them — were sponsored for further postgraduate studies in the UK; 10 others were funded to study further in South Africa. The selection was made with partner institutions in each participating country. Leeds is one of four participating UK universities. The others are the University of Manchester, University of Hertfordshire and Oxford University. These are all centres of excellence. We will also, during our studies, spend some time in South Africa supervised by a South African collaborator. This is important preparation for future collaborations, which are crucial in science. As trainees, we’ve enjoyed interactions with senior research scientists and presentations from renowned academics. We present our work to each other and develop the skills we’ll need to be working scientists. We’re also looking forward to welcoming fellow students from countries such as Namibia, Botswana, Mauritius, Madagascar and Mozambique as the project expands further across the continent. This training formula has the potential to inspire and empower many more individuals across Africa. And the benefits won’t be felt just in the field of astronomy. The skills my colleagues and I are developing are widely applicable. They can be used in a number of areas: research, computing, telecommunications, land management and even business. Equally important is Dara’s role in preparing Africa ahead of the completion of the SKA, the world’s largest radio telescope. It is partially hosted in South Africa. SKA-Africa is also funding the conversion of the redundant satellite earth stations in Africa into radio telescopes that will form a network of telescopes called the African VLBI (very long baseline interferometry) network — a technique that will simulate a telescope the size of Africa. These are major investments in science. It’s important that preparations be made for their proper maintenance and successful operation — and that requires trained radio astronomers to do the work. The amount of data to be collected from these facilities is also large; if this collection is to be thorough and successful, it will require properly trained big data managers and researchers. This is why Dara is preparing people like me for the future of African astronomy. These telescopes can be seen as a sign of trust that the rest of the world has placed in Africa. They are capital intensive science facilities. With proper training programmes and the development of more African astronomers, the continent can repay this trust many times over.